Jam – a type of dessert made from fruit and sugar. Usually, it is made a reserve, to cold winter evenings to regale them with tea and various pastries. However, even in canned form the jam has a shelf life. Unlike other canned foods that can be stored at temperatures up to +20oC, the jam must be kept at temperature not above +15°. The best option – from 10 to 15 ° above zero. In the room of jam should not get direct sunlight, and the air should not be too wet. It is best to store the jam perfect dark basement, but in any case should not photoplate water. It is also desirable not to expose the jars of jam to strong changes in temperature and do not store in the cold. Otherwise, the product can quickly to sugar or covered with mold because of the accumulated condensate in the Bank. With high humidity or presence of water in the basement the metal lids of jars of jam can rust. This not only impairs the taste of the jam, but it can do to mess it up - in this case it would be dangerous to use, even for baking. Is also important proper cooking and preserving jam. The product, for example, may ferment into insufficiently sterilized jars. The fungus also may appear in the case, if in a jam lacking sugar, and the banks at the time of tightening were wet. In compliance with all regulations with regards to facilities and the proper preservation of the product, the jam can be stored for 3 years. During this time, it will still have all the nutrients and vitamins, however, each subsequent year will reduce their number and to slightly change the taste of the product. Five-year or seven-year jam is unlikely to harm health, if it is not covered with mold, but it will not be any. 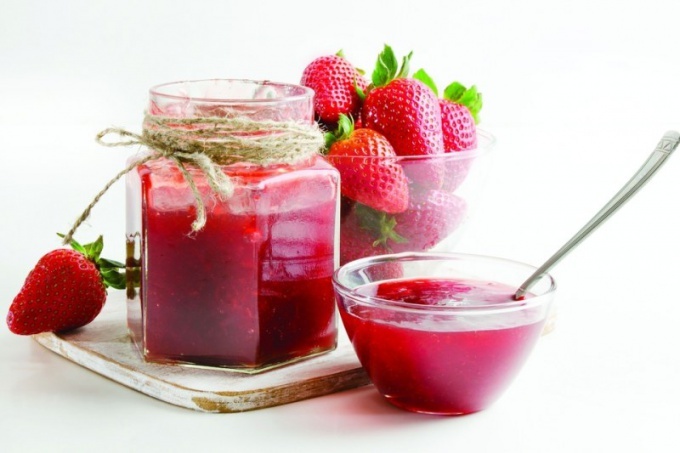 If the jam is covered with a thin layer of mold, do not immediately throw it away. You can carefully remove the mold, re-boil the jam and then use it as a filling for pastries. The exception is the jam that is prepared from fruits with pits: cherries, apricots, peaches, plums or plums. The composition of fruit seeds include cyanide, which in the long term storage can turn into a toxic substance. That's why this jam should be eaten within 1-1,5 years from the date of preparation. Older jam is better not to eat or at least limit its consumption. And bones after a year can not be there in any case, even sweet apricot, as this may lead to poisoning.